The people who make our phones try to keep them secure — some more than others. Lookout just goes one step farther. It monitors your software, making sure things are up to date and ensuring that nothing nefarious is going on behind the scenes. 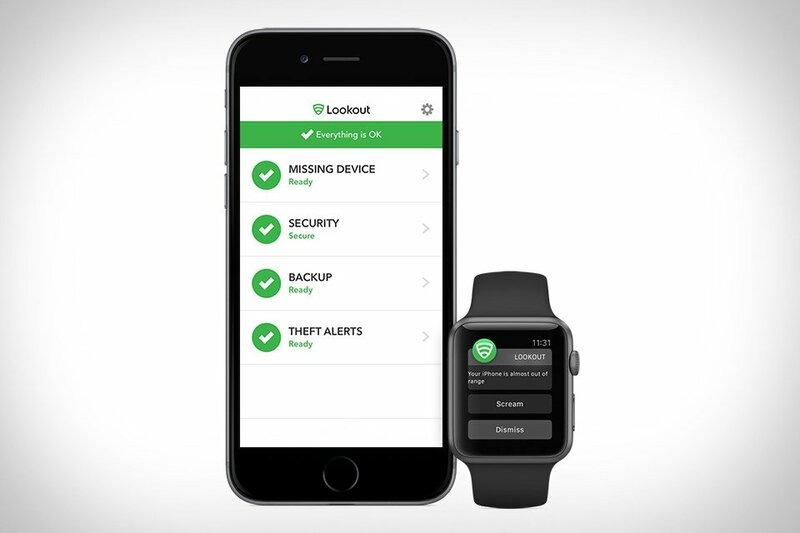 It can backup your data, so you know your contacts and photos are safe. It can also let you know your phone’s current location, sound an alarm to help you find it, send an alert if, say, the SIM card gets removed (suggesting it’s been stolen), and, for those with an Apple Watch, can serve as a virtual leash, letting you know if your phone and wrist stray too far apart.